Keeping up with industry trends and maintaining a steady stream of reading content can sometimes be a difficult task for most busy life sciences professionals. Trust us when we say, we know that with the amount of projects you’re probably involved in, an activity like this is often placed to the bottom of the pile every week. Not to mention the wealth of extra unplanned tasks that make that pile even more difficult to make your way through. What you may not realize, though, is that top articles, news, and great reading content is easily accessible from well-known industry experts and thought leaders – and you can even join in on the conversations around your industry – through joining key LinkedIn groups. Now I know what you’re thinking – you’ve joined a few LinkedIn groups before and they’ve turned into spammy sales groups that just clutters your inbox. We’ve been there too. However, if you’re selective and approach LinkedIn groups in the right way they can be a great source of current and quality content. We've put together a list of some key groups that surround encompass life sciences and have segmented them into the different areas. Whether you’re in pharmaceutical quality assurance, validation, clinical operations or other fields there are groups here for you. Take a look, read some articles and maybe even contribute to a discussion. Every business day, FiercePharma updates pharmaceutical executives on pharma company news & earnings, FDA regulations, drug safety, generic drug companies, and more. Beyond the news of the day, their editors discuss the top industry trends and topics with in-depth features on industry leaders and market trends. This is the premier Linked In (“social”) networking group specifically for research, development, scientific, technical, clinical and medical professionals across the Pharmaceutical, Biopharmaceutical and Biotechnology industries. They boast a growing community of R&D professionals who share common experiences, passions, interests, affiliations, and goals. This group will enable you to stay informed (emerging trends, career, new ventures, etc.) and keep in touch with people who share your interests. Subgroups include Drug Discovery, Chemistry, Research Technologies, Project Management, Molecular and Cell Biology, Pre-Clinical Development, Clinical Research and Drug Development, Pharmacology and Pharmaceutics, Pharmacovigilance, Risk Management and Drug Safety, and more. Pharma Connections Worldwide is a global business development/networking company focused on the pharmaceutical, biotech, and healthcare markets. They originally put this group together to connect pharmaceutical professionals around the world, however, it has evolved into a center for global discussions on current issues, new regulatory information, and emerging trends. The American Association of Pharma Scientists is one of the largest life science focused associations in North America. Their LinkedIn group is a collection of members and non-members who share interesting articles, news and engage in regular discussions about real issues and opportunities in the pharmaceutical field today. Not a part of the AAPS? Not to worry, join anyway to see what their members are discussing. The BioSpace Group provides pharmaceutical, biotechnology and medical device professionals with a forum to connect and share industry information and trends, cutting-edge research and technology, and business and employment opportunities. You’ll receive weekly announcements in your inbox with great resources and webinars, in addition to the lively discussions from the general life science community. This group is dedicated to Pharma Professionals & Executive as well as to stakeholders of the generic pharmaceutical market. Latest Pharma News, every week many international job offers. More interested in Pharmaceutical Business related discussions? Join and discuss your Pharma Import-Export, Regulatory, NDA, ANDA, IND, and Marketing Experience. They aim to run a spam free group, but recruiters do slip through the cracks at times. We’re seeing some really great conversations unfold here so be sure to join. Current and former manager members are encouraged to extend their networks, share opinions and initiate discussions in this group. Hiring Managers, HR Managers and recruitment agencies are also actively posting opportunities to this highly selective pool of managers. Follower or attendee of Pharma IQ events? This is the official LinkedIn group for Pharma-IQ.com, the premier online network for the pharmaceutical & biotech industry. Whether you are involved in clinical, pre-clinical, regulatory, logistics or manufacturing - you'll find like-minded people to network, discuss, and share ideas with here. As a group member you can have access to a comprehensive library of articles, podcasts, videos, webinars and seminars gathered by leaders in the community, and updated regularly. Are you more involved in clinical activity? Clinical Research Professionals is a community developed for professionals in the field of Clinical Research (Clinical Operations, Data Management, Medical Writing, BA/BE Studies, pharmacovigilance etc) to help them communicate with each other. A big promoter of ideas sharing and discussions around clinical innovation, this is a great group to join that is less spammy than some of the groups you’ll find in this field. The Association of Clinical Research Professionals (ACRP) is the primary resource for clinical research professionals in the pharmaceutical, biotechnology and medical device industries, and those in hospital, academic medical centers and physician office settings. With its own professional society came the recognition of a new distinctive profession — that of the clinical researcher. More than 35 years later, ACRP is a global association comprised of more than 18,000 individuals in over 70 countries dedicated to clinical research and development. ACRP membership is not required to participate, although it is encouraged. As one of the largest clinical focused groups on LinkedIn, this is a breeding ground for great discussion. Take a look and join today. This group was designed to foster relationships and networking among individuals who work in or part of business related to the CMO, CRAMS, CDMO and CRO field(s). Covering fields in the Pharmaceutical/Pharma, Life Science, Engineering, Aerospace, Chemical, Clinical/CRA, Medical and Biotechnology/Biotech/Bio, Development, Formulation, Manufacturing and Contract Services for Technical and technically related and managed fields. Again, a large group that covers a wide range of industries, not just Life Sciences but interesting none the less. Are you involved in managing clinical documentation - or - are you interested in learning more about TMFs? The TMF Reference Model is an extension of the EDM Reference Model from a DIA special interest group. This group serves as a platform for communication and discussion around the evolution and practice of the TMF Reference Model. You’ll find knowledgeable and active clinical documentation management owners from some of the biggest life science organizations in the world. Another great group for clinical research professionals that are looking to engage in conversations around GCP related topics. With articles that span the entire spectrum of clinical research, discussions touch on GCP related topics from research professionals from around the world. This group is open, so jump in right away and start a discussion. 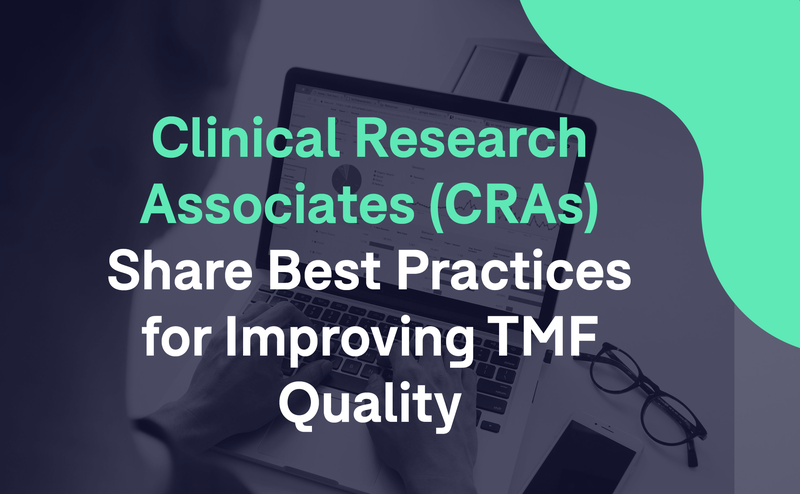 Although this group is more geared towards the more business end of CRO organizations, we suggest any clinical research professional to take a look at some of the articles and discussions that are active in this group. You’ll find interesting dialogue around best practices on forming, managing and sustaining successful clinical outsourcing partnerships. It’s also associated with the Partnerships in Clinical Trials Event. The CDI groups’ intent is to deliver and discuss drug development, clinical research, licensing new technologies, setting up advisory boards, financing strategies, high quality design, development and manufacture of new medical devices ideas and products that change our patients’ lives for the better. It's not one of the biggest groups on LinkedIn, but you’ll find much more specific discussion around Clinical Development and Innovation than other clinical focused groups. The GCRP Group is a networking platform which brings together professionals, students, recruiters, trainers, mentors, service providers to interact with each other. Within the broader group, there are special interest groups for Clinical Research professionals, medical writers, project managers, biostatiscians, data managers, QCs, medical professionals, CRAs, CRCs, Lifesciences professionals, recruiters, students etc. The great thing is that the group is not aligned to any organization, which means less spam (in theory). A small group specifically geared towards Medical Device Engineers - this is a great place for engineers in the medical device industry to network and share information. They actively encourage posting of articles, webinars and resources for Med Device engineering professionals. Feel like you have something to add to the group? Join today! Medical Device Opportunity is for anyone in the Medical Device field interested in sharing their experience, interesting information and opportunities. As the largest online professional LinkedIn group for medical device professionals, they encourage members to ask questions that more experienced members may be able to answer. They encourage discussions about product and distribution opportunities. Another great thing about this community is they have a very active Jobs section where they encourage recruiters to list medical device related job opportunities. Moreover, there are always active discussions related to functional areas of Medical Devices like Marketing, Sales, Regulatory Affairs, Quality Assurance, Manufacturing, Clinical, etc. Looking to network with other professionals within medical devices? Then this is the group for you. The group consists of a group of professionals within the Medical Device space that are here to exchange ideas and information related to the industry. Here you’ll learn about how to connect with other medical device professionals, exchange ideas and discuss new topics. This group is for medical device professionals who appreciate the value of networking and want to take advantage of social media technologies to expand their relations and share their expertise. The reason this group makes the list is because of its quality of content. However, be aware that the group is managed by Arkay Career Services, an executive recruitment firm specializing in the medical device industry. You may find job postings and other career related content managed in the jobs/promotions section of the group. If you are a professional in medical device and technology this is another important group for you! They cover a wide range of topics with content related to career development, research, and medical specialties such as: Surgery & Surgical Robotics, Haptic Robotics, Thoracic, Urology, Vascular, Gynecology, Endoscopy, SILS, MIS, SIS, Laparoscopic Surgery, NOTES, Minimally Invasive Surgery, Ophthalmology, Orthopedic, Arthroplasty, Knee, Hip, Joint, Musculoskeletal, Arthroscopy, Degenerative, Trauma, Biologics, Orthobiologics, Surgical Infection, Hospital Acquired Infections, Spine, Catheter Technologies, ENT, Head & Neck, Dental, Otolaryngology, Cosmetic, Plastic and Reconstructive Surgery, Neurosurgery, Neuroscience and Neurology, Engineering, Radiology (CT, MRI, Pet, Spect, Nuclear Medicine, Imaging & Navigation) Research & Development, Software, Hardware & Embedded Systems, Pharmaceutical, Patient Diagnostics, Drug Delivery, Medication Delivery, Biopharma, Healthcare Legislation, Wound Care, Implantable Device, AIMD, IMD, Reimbursement, EP, Cardiology, Cardiovascular, Endovascular, Quality, Regulatory & Clinical Affairs - and more! Medical Device Insider is an online information source dedicated to emerging medical device companies and technologies. They provide news, information, employment and recruiting services, as well as collaborative opportunities for people who design, manufacture, and market medical devices. Expect weekly news recap highlights from some of the more interesting headlines from the prior week. They also cover topics regarding Pharmaceutical, Biotechnology, & Hospital Information Systems as they relate to medical devices. This group is intended for Professionals in Quality Assurance, Regulatory Affairs (QA & RA) and Compliance in highly regulated industries to share experiences and to expand the network of people and ideas in quality, regulatory, safety, health, sustainability, lean, security, GRC, risk and compliance for continuous improvement across multiple industries. Quality assurance, or QA for short, refers to planned and systematic processes that provide confidence of a product's or service's effectiveness. This group is dedicated to pharma QA and its relevant discussions. They also provide insight on jobs & recruitment within the pharmaceutical industry. The eCTD Regulatory Submissions Network provides status updates, comments, feedback, and discussions on current regulatory trends including eCTD Submissions and best practices in the development and delivery of global dossiers. The biggest group of its kind, with a very targeted and specific member demographic. You’ll find professionals that are actively involved in contributing submissions in this group. The RAPS group is an industry favorite. They share a range of different types of content that covers health sector regulatory & compliance Q&A, knowledge & experience sharing, regulatory strategy & compliance solution benchmarking, and education & career advice with fellow RAPS LinkedIn Group members. The Regulatory Affairs Professionals Society (RAPS) is the leading worldwide member organization devoted to the health product regulatory profession. RAPS develops professional standards for knowledge, competency and ethics and is the leading source of information on the scope of practice of regulatory professionals and their critical roles in the health sector. Please visit RAPS.org for more information. This is a platform for academicians, seasoned industry professionals, regulators and other professionals with interests in Drug Regulatory Affairs to interact and exchange ideas. 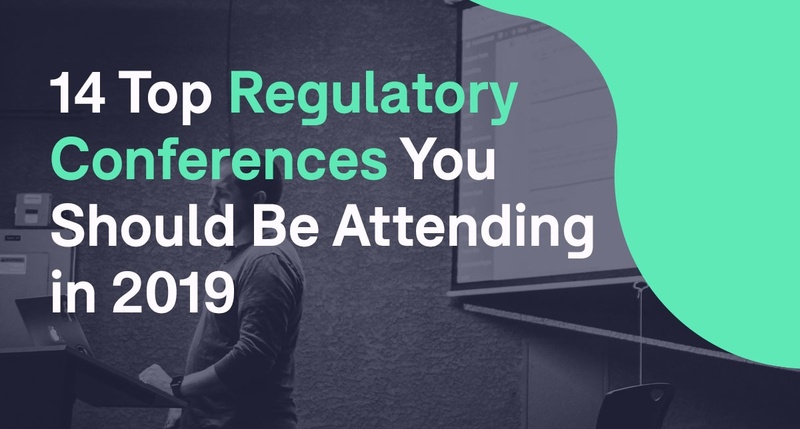 One of the older regulatory focused groups, this community is great for staying on top of industry information, new emerging standards and models as well as innovative new ways to manage regulatory compliance. Are you on Twitter more than Linkedin? Not to worry, we have a great list of essential twitter accounts to follow for life sciences professionals. You can view it here. What’s your favorite life science-related LinkedIn group? Tell us in the comments below! 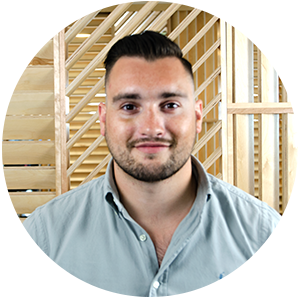 Oliver heads up Montrium's Commercialization team and is a regular contributor to the Montrium blog. Oliver writes on a wide range of topics that tie in his passion for technology and his deep understanding of the regulatory requirements.